As the mechanism for statements on issues of concern, including: well-being of Jews in Oklahoma and around the world; Israel's right to exist as the Jewish homeland; anti-Semitic incidents and issues; a major terrorist attack anywhere in the world; and discrimination towards others based on immutable characteristics. As the umbrella for social justice programming for the Jewish Federation, including: Mitzvah Corps projects serving many in our community; Israel related advocacy/programming; interfaith outreach and legislative advocacy. 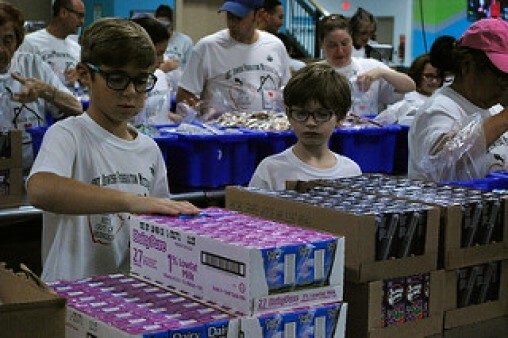 See a list of upcoming Mitzvah Corps projects below. By providing guidance about Jewish holidays and how they are observed for public and private schools. By creating advocacy opportunities for members of the Jewish community developing engagement with legislative officials and by partnering with other nonprofit organizations. This summer we have coordinated a non-perishable drive for toilitries. See all the details, including what you can donate, here.